Nashville Sound era hit maker Shirley Collie died last week in her home state of Missouri. Born Shirley Caddell in 1931, she initially gained prominence by performing in the 1950s on the nationally telecast Ozark Jubilee. She married and divorced Disc Jockey Hall of Fame member Biff Collie, which is how she acquired her performing name. Signing with Liberty Records, Shirley Collie made her chart debut in 1961 with the Harlan Howard song “Dime a Dozen.” She and Warren Smith revived the George Jones classic “Why Baby Why” as a duet later that same year. Her next duet partner was Willie Nelson. In fact, their version of “Willingly” in 1962 marked his debut on the country charts. It was also her only top-10 hit. She married Nelson as her second husband in 1963. She was his second wife and was married to him when he was a member of the Grand Ole Opry. They resided north of Nashville in Ridgetop, TN in the 1960s. They had no children and divorced in 1971. They co-wrote his 1968 single “Little Things,” and she is also credited with writing his singles “I Hope So” (1969) and “Once More with Feeling” (1970). 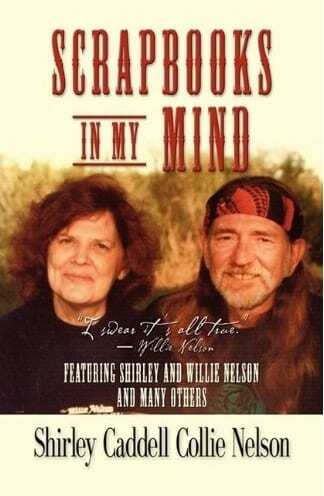 Shirley Caddell Collie Nelson published Scrapbooks in My Mind as her autobiography in 2009. She was 78 when she died on Wednesday, January 27.